Time to get things looking nice again after the long winter. What makes a yard look better than some fresh mulch?! Mulch gives your landscape a well kept manicured appearance. Mulch controls and slows weed growth. Mulch helps insulate the root zone of your plantings by moderating soil temperatures throughout the year. 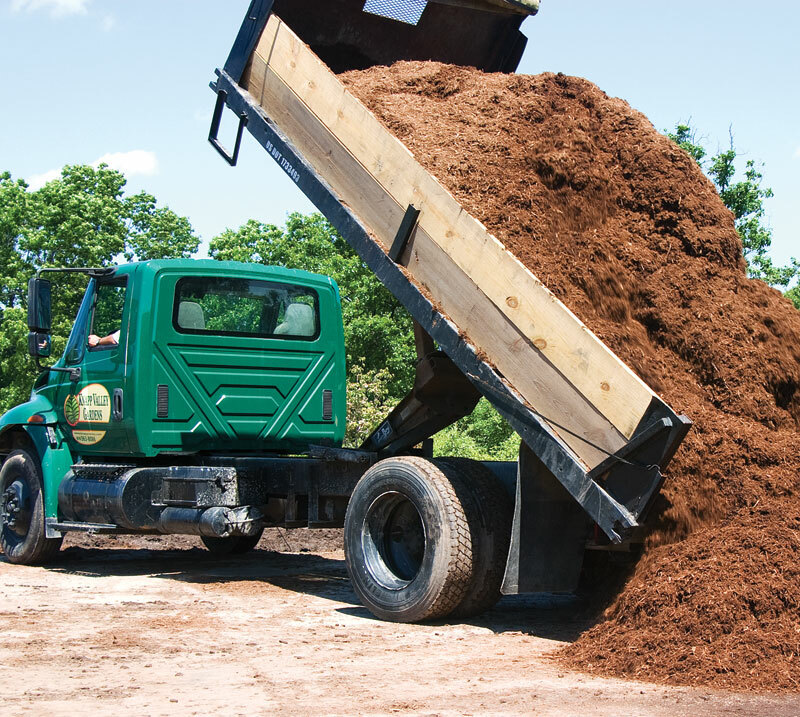 Mulch decomposes improving the soils ability to provide air, moisture, and nutrients. Mulch helps to control erosion by slowing runoff and absorbing rainwater. Mulch helps to reduce soil compaction. Mulch reduces the likelihood of damage from weed whips and lawn mowers. If mulch is already present, check the depth. Mulch should only be three to four inches deep. If trees or shrubs have been mulched too heavily, remove or redistribute excess mulch as needed. Rake the old mulch and break up the matted layers that may have formed before applying more. Do not allow mulch to come in contact with the bark of a plant by being piled up against the trunk. Keep mulch three to four inches from the trunk of trees and shrubs. Extend mulch to the drip-line of the plant. The primary benefit of mulching occurs in the root zone of the plant.